The hectare-scale discussion so far reflects a range of socioeconomic factors that have determined land use and land use change in Europe over the past two centuries. Several published case studies for other regions highlight the impact of similar factors for temperate, boreal, and tropical regions (Figure 16.4). 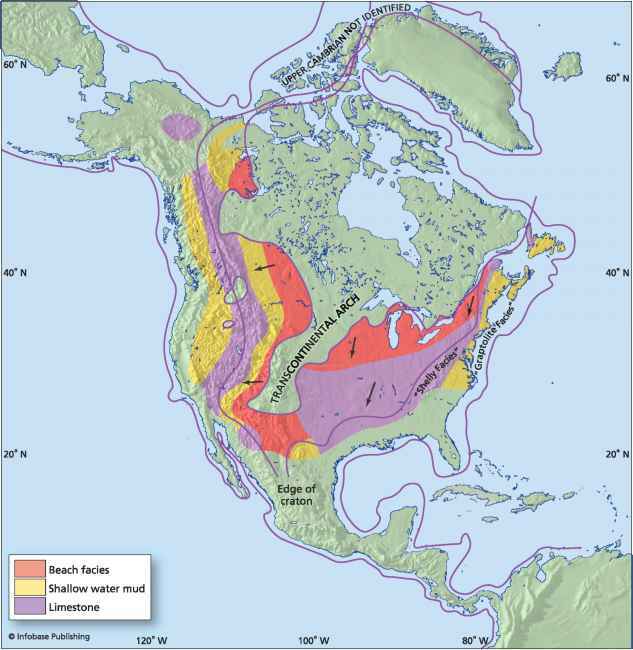 The recent and rapid exploration of the midwestern and western United States, between 1850 and 1900, led to a large efflux at that time (Houghton and Heckler 2000). During those decades, primary forests were harvested and native grasslands were cultivated. Later, abandonment of managed lands, due to changes in agriculture and job creation in industry, led to a rapid reduction of the net source from the biosphere of the United States. Around 1950 it was approximately in balance. Regrowing forests and low-till agriculture led to a small sink in the U.S. biosphere in the mid-1970s and early 1980s. This increasing sink was, however, already curbed by increased wildfire in the 1980s and early 1990s. The cumulative efflux from the United States between 1800 and 1950 presents a potential cap on future sink potential. Though this situation suggests a large potential, the recent increase in wildfires suggests that it may be difficult or impossible to achieve (Houghton and Hackler 2000). Figure 16.4. Temporal evolution of the net annual flux of carbon (sink = positive) for six global regional case studies. 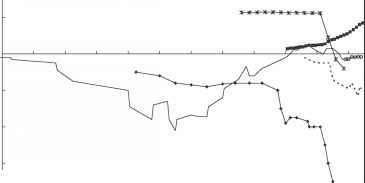 Note that for Canada the net flux is the result of changes in natural dynamics, whereas for the other continents the dynamics are the result of land use changes and vegetation rebound. For European forests from 1950 to 1999, the sink is larger than in the United States, probably because the European data are for forests only. Further, the emission/degradation phase took place much earlier in Europe, starting perhaps 5,000 years ago. Europe experienced a very gradual process of overcutting and overgrazing that slowly expanded from the Mediterranean basin to Central Europe and only much later (16th and 17 th centuries) into Scandinavia. The recent sink in Europe reflects an accumulation of biomass in existing forests rather than expansion of the forest area (Nabuurs et al. 2003). The sink increases over time because the increment increased over this time period, whereas logging has stayed approximately level since the 1950s. As in the United States, potential future carbon sequestration in Europe is strongly constrained by regular forest management. The net flux is different for Australia (Australian Greenhouse Office 2002). Even though Australia's economic status resembles that in the United States and Europe, its biosphere still acts as a source, resulting from deforestation in some parts of the country. In the tropics economies still focus primarily on natural resource extraction (Romero Lankao, Chapter 19, this volume), with sources from deforestation. In Asia the land use change rate seems to be declining (Houghton and Hackler 1999), whereas in the Amazon Basin deforestation started much more recently (Houghton et al. 2000). The largest potential for future carbon sequestration (as well as the optimal socioeconomic circumstances) is probably on the Asian continent. In Canadian forests, with large areas of primary boreal forest, the net flux is mainly the result of changes in natural dynamics through time (Kurz and Apps 1999). This situation contrasts with the other continents, where the dynamics are the result of land use changes and vegetation rebound. Canadian forest accumulated biomass for several decades but gradually switched to a source in the early 1980s, owing to an increase in natural and human disturbance rates over the 1970s and 1980s (Kurz et al. 1995). More recent information shows that the natural disturbance rates in Canadian forests have decreased again since the late 1990s (see global burnt area at http://www.grid.unep.ch). As a whole, the 21st-century carbon budget of Canadian forests will be the result of the effects of disturbances (both fire and insect outbreaks are expected to increase with climate change) and the legacy of past disturbance history reflected in the age class structure.